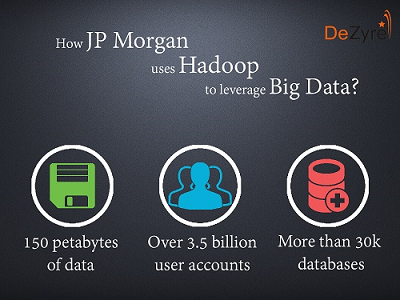 How JPMorgan uses Hadoop to leverage Big Data Analytics? With more than 150 petabytes of data, approximately 3.5 billion user accounts and 30,000 databases, JPMorgan Chase is definitely a name to reckon with in the financial sector. JPMorgan offers its financial services in commercial banking, private banking, investment banking, asset management, security services and treasury - in more than 100 countries across the globe.The corporate and investment banking giant offers a wide range of financial products and services to meet the banking needs of its customers - individuals, other financial institutions, governments and companies. Large commercial banks like JPMorgan have millions of customers but can now operate effectively-thanks to big data analytics leveraged on increasing number of unstructured and structured data sets using the open source framework - Hadoop. Big data analytics helps JPMorgan identify the best set of products they can deliver to their customers. JPMorgan’s main motive is to get the right product to the right customer at the right time through the right channel - in a context relevant way. The largest financial service provider in US-JP Morgan Chase generates huge amounts of big data about customers from credit card information and millions of transactions. Apache Hadoop is the framework of choice for JPMorgan - not only to support the exponentially growing data size but more importantly for the fast processing of complex unstructured data. JP Morgan has massive amounts of data on what its customers spend and earn. They leverage this big data for analytics using Hadoop - to make handling financials for their customers, easier and smarter. JPMorgan uses Hadoop to process massive amounts of data that includes information like emails, social mediaposts, phone calls and any other unstructured information that cannot be mined using conventional databases. JPMorgan started off with open source Hadoop framework using a small Hadoop cluster but now it relies on the tiny elephant for making decisions about mission critical investment projects. Hadoop based systems have become an adept at transaction processing to meet the emerging big data requirements of JPMorgan. 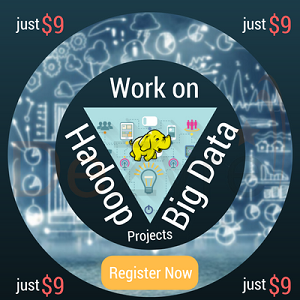 They use Apache Hadoop to process the customer data that is collected from thousands of banking products and different systems. Although, JP Morgan still depends on relational database systems, it is extensively using the open source storage and data analysis framework Hadoop for risk management in IT and detecting frauds. “Hadoop's ability to store vast volumes of unstructured data allows the company to collect and store web logs, transaction data and social media data. Hadoop allows us to store data that we never stored before. The data is aggregated into a common platform for use in a range of customer-focused data mining and data analytics tools”- said Larry Feinsmith, Managing Director of IT at JPMorgan Chase. 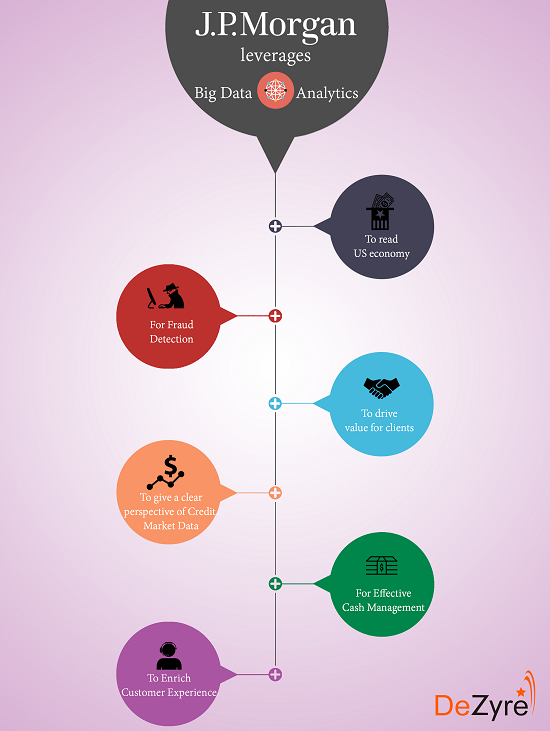 The use of big data at JP Morgan Chase helps in optimizing the sales of foreclosed properties helps develop new marketing initiatives, managing risks and helps in credit assessment. The big data analytics technology at JPMorgan crunches massive amounts of customer data to discern hard to detect patterns in the financial market or in customer behaviour that can help the bank identify any risks in the market or possible opportunities to make money. The analytics systems at JPMorgan analyse internal bank records and relate them with other sources of information so that the financial institution can draw better insights from the data to get a clear perspective of their customers-by predicting which customers are credit-worthy and prospective buyers of novel financial products or services. JPMorgan spends approximately $250 million a year for cyber security efforts - to be compliant with traditional security aspects of customer data. JPMorgan uses Sqrrl’s big data analytics platform to explore, integrate and analyse distinct cyber datasets securely.Sqrrl leverages advanced graph analytics and linked data approach to spool through large datasets and find out if there are anomalies within them to avoid any kind of security breaches. JPMorgan is combining the transaction data of approximately 30 million customers with publicly available US economic statistics. The data analysts at JPMorgan built a data set of 2.5 million de-identified customers to analyse the income and spending habit of 2.5 million account holders from October 2012 to December 2014. JPMorgan imposed strict privacy protocols to protect the information of its customers all through the making and analysis of these valuable data assets. JPMorgan’s big data analytics will provide policymakers with all the tools they need to revamp the struggling US economy and improve the lives of millions of Americans. JPMorgan is the first financial institution that is leveraging big data analytics for the benefit of the public good. The insights drawn will provide an opportunity for employers, policymakers and service providers to help people mitigate and manage any kind of financial instability through ground-breaking tools, programs and products. “Unlike slow-moving government surveys, the JPMorgan data keeps up with a fast-paced economy, giving us an ability to gauge the fallout from natural disasters like Hurricane Sandy or the economic impact of states raising the minimum wage. We can zoom in and see the impact.”- said Diana Farrell, CEO of the new JP Morgan Chase Institute. JPMorgan is not only mining the trading data for analysis but is also tracking the phone calls and emails to identify the probabilities of any fraudulent activities that are impossible to detect. JPMorgan uses analytics software developed by Palantir to keep a track of employee communications to identify any indications of internal fraud. JPMorgan is digitizing remittance information that comes in lockboxes. It provides this information to clients in order to provide deep insights into the progress of their business. 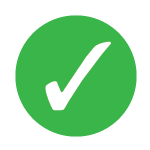 JPMorgan clients can utilize this information coming from a lockbox to effectively address any customer enquiries, cash forecasting and to enhance the posting of financial transaction to their receivable systems. JPMorgan leverages the power of big data and analytics to drive value for clients by providing the clients with information for benchmarking their performance against their peers and competitors. There are huge amounts of credit market data. Visualizing and understanding the massive amounts of credit data using traditional techniques like charts, tables and document repositories is difficult as it does not give a clear perspective. It does not help the bank to be responsive to potential investment opportunities. Earlier, JPMorgan customers could get a perspective of the bond market report by reading text reports or viewing tables with statistical information but with the ever increasing volume of data, it was difficult to provide JPMorgan customers with clear insights on market trends. To provide valuable and intuitive services to customers JPMorgan leverages big data analytics through its “CreditMap” application that’s uses Datawatch platform to provide customers with accurate and faster real-time managed analytics. The new Datawatch analytics platform helps customers view and analyse information by using colour, size and proximity according to their needs with an easy to use interface. JPMorgan won the Euromoney award for “Best Online Fixed Income Research” using the “CreditMap” solution as it successfully bridged the gap between providing informative research and valuable analytics to its customers. “Datawatch has greatly enhanced our user’s ability to visualize the credit markets and utilize analytics- it is an important contributing factor to us winning the Euromoney Award.”-said Lee McGinty, Head of European Portfolio at JPMorgan. Customers are generally concerned about their working capital cycle, capital protection and efficient use of their cash. JP Morgan uses predictive analytics, sophisticated forecasting mechanisms to help its customers manage their working capital and cash forecasting needs. Predictive analytics at JP Morgan help rationalize or optimize applications, forecast cash flows across customer accounts, provide deep insights on any loopholes in the payments process workflow and enhance end to end cash management efficiency. JPMorgan’s detailed forecasting services that leverage predictive analytics help customer relationship managers to determinedly discuss the alterations in limits and credit lines to optimize cash balances. The analytics systems at JPMorgan provide customer centric payment messages through context-relevant information. For instance, an insurance company that is settling the claims of a customer might provide information in a payment that will help customers deal with the specific kind of damage. The key channel for this is mobile which overcomes the limitations for existing payment systems and add value to the process enriching customer experience. Big data analytics is a huge differentiator at JPMorgan for making smart, targeted investments and personalized customer experience that help-drive business growth, drive better risk behaviours in the business, and reduce the costs across the business.